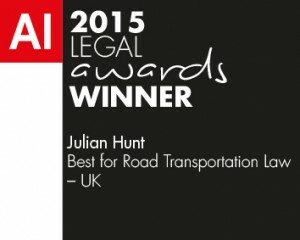 I have just been awarded the Acquisition International UK Road Transportation Law Award 2015 in recognition of this niche area that I am well known in. Do contact me by phone or email to see if I can assist you with a problem in this field. I work directly with the public and can help you.